Tragende Strukturen werden typischerweise in Bezug auf relevante Lastfälle entworfen, wobei statische Formen und vorgegebene Materialeigenschaften angenommen werden, die während des Entwurfs und der Materialauswahl ausgewählt werden. Neue Technologien, die das Design von Strukturen ermöglichen, die lokale Eigenschaften im Betrieb als Reaktion auf Lastwechsel verändern könnten, würden zusätzliche Gewichtsersparnispotenziale schaffen und somit Leichtbau und Nach- haltigkeit unterstützen. Materialien mit solchen Fähigkeiten bestehen aus Netzwerken mit zahlreichen aktiven Zellen, die eine Erfassungs-, Signal- und Datenverarbeitungs-, Kommunikations- und Aktuierungs-/Stimulationsfähigkeit bereitstellen, die adaptronische Strukturen bilden. Ein Beispiel für ein solches Material ist eine spezielle Klasse von Polymeren, die in der Lage sind, ihre Elastizität basierend auf dem Einfluss von optischen, thermischen oder elektrischen Feldern zu ändern. 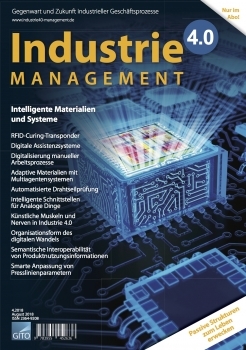 Ein zu lösendes Problem in Bezug auf aktive intelligente zellulare Strukturen ist die korrelierte und selbstorganisierende Steuerung der Reaktion und Steuerung von Zellen und die zugrundeliegende Informationsorganisation, die Robustheit und Echtzeitfähigkeiten bereitstellen muss. Wir schlagen einen hybriden Ansatz vor, der mobile und reaktive selbstorganisierende Multi-Agenten-Systeme (MAS) und Maschinelles Lernen kombiniert. Die MAS stellen die wesentliche robuste Informations- und Kommunikationstechnologie (IKT) dar. Die Agenten werden dabei in Material-integrierten Netzwerken aus Mikrorechnern ausgeführt. Die Simulation und Umsetzung solcher komplexen Systeme stellt eine große Herausforderung dar. 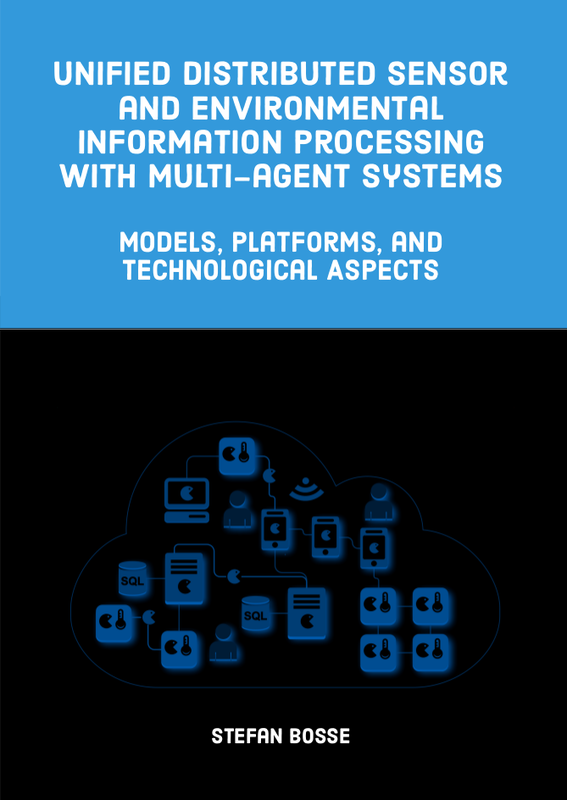 This work addresses the challenge of unified and distributed computing in strong heterogeneous environments ranging from Sensor Networks to Internet Clouds by using Mobile Multi-Agent Systems. A unified agent behaviour model, agent processing platform architecture, and synthesis framework should close the operational gap between low-resource data processing units, for example, single microchips embedded in materials, mobile devices, and generic computers including servers. Robustness, Scalability, Self organization, Reconfiguration and Adaptivity including Learning are major cornerstones. The range of fields of application is not limited: Sensor Data Processing, Load monitoring of technical structures, Structural Health Monitoring, Energy Management, Distributed Computing, Distributed Databases and Search, Automated Design, Cloud-based Manufacturing, and many more. 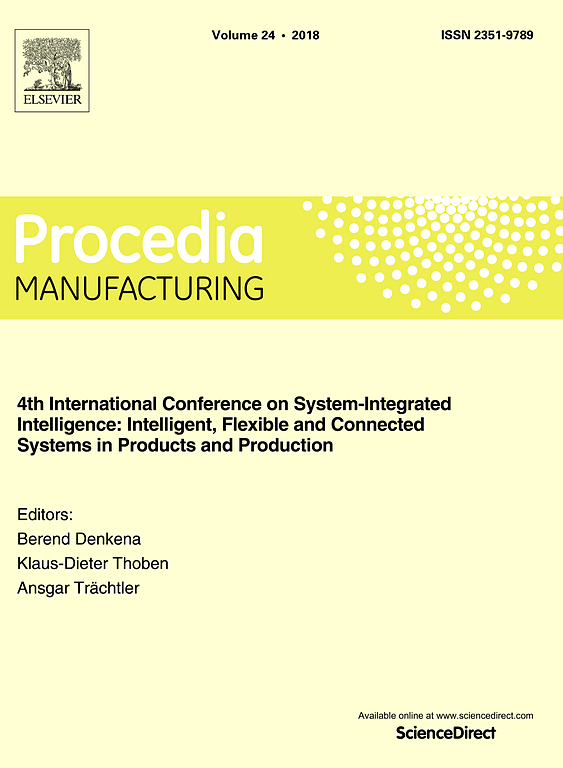 This work touches various topics to reach the ambitious goal of unified smart and distributed computing and contributing to the design of intelligent sensing systems: Multi-Agent Systems, Agent Processing Platforms, System-on-Chip Designs, Architectural and Algorithmic Scaling, High-level Synthesis, Agent Programming Models and Languages, Self-organizing Systems, Numerical and AI Algorithms, Energy Management, Distributed Sensor Networks, and multi-domain simulation techniques. None of these topics may be considered standalone. Only a balanced composition of all topics can meet the requirements in future computing networks, for example, the Internet-of-Things with billions of heterogeneous devices. Smart can be defined on different operational and processing levels and having different goals in mind. One aspect is the adaptivity and reliability in the presence of sensor, communication, node, and network failures that should not compromise the trust and quality of the computed information, for example, the output of a Structural Health Monitoring System. A Smart System can be considered on node, network, and network of network level. Another aspect of "smartness" is information processing with inaccurate or incomplete models (mechanical, technical, physical) requiring machine learning approaches, either supervised with training at design-time or unsupervised based on reward learning at run-time. Some examples of Self-organizing and Adaptive Systems are given in this work, for example, distributed feature recognition and event-based sensor processing. 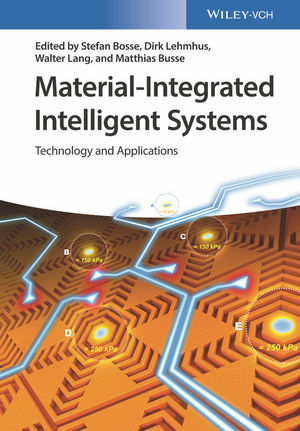 Materials Informatics addresses commonly the design of new materials using advanced algorithms and methods from computer science like Machine Learning and Data Mining. Ongoing miniaturization of computers down to the micro-scale-level enables the integration of computing in structures and materials that can be understand as Materials Informatics from another point of view. There are two major application classes: Smart Sensorial Materials and Smart Adaptive Materials. The latter class is considered in this work by combining self-organizing and adaptive Multi-agent Systems with materials posing changeable material properties like stiffness by actuators. It is assumed that the computational part of this micro-scale Cyber-Physical-System is entirely integrated in the material or structure as a distributed computer composed of a network of low-resource computers. Each node is connected to sensors and actuators. Actually only macroscopic systems can be realized. Therefore a multi-domain simulation combining computational and physical simulation is used to demonstrate the approach and to evaluate self-adaptive algorithms. Monitoring of mechanical structures is a Big Data challenge concerning Structural Health Monitoring and Non-destructive Testing. The sensor data produced by common measuring techniques, e.g., guided wave propagation analysis, is characterized by a high dimensionality in the temporal domain, and moreover in the spatial domain using 2D scanning. The quality of the results gathered from guided wave analysis depends strongly on the pre-processing of the raw sensor data and the selection of appropriate region of interest windows (ROI) for further processing (feature selection). Commonly, structural monitoring is a task that maps high-dimensional input data on low-dimensional output data (feature extraction of information), e.g., in the simplest case a Boolean output variable “Damaged”. Machine Learning (ML), e.g., supervised learning, can be used to derive such a mapping function. But quality and performance depends strongly on feature selection, too. Therefore, adaptive and reliable input data reduction (feature selection) is required at the first layer of an automatic structural monitoring system. Assuming some kind of one- or two-dimensional sensor data (or n-dimensional in general), image segmentation can be used to identify ROIs. Major difficulties in image segmentation are noise and the differing homogeneity of regions, complicating the definition of suitable threshold conditions for the edge detection or region splitting/clustering. Many traditional image segmentation algorithms are constrained by this issue. In this work, autonomous agents are used as an adaptive and self-organizing software architecture solving the feature selection problem. Agents are operating on dynamically bounded data from different regions of a signal or an image (i.e., distributed with simulated mobility), adapted to the locality, being reliable and less sensitive to noisy sensor data. Finally, adaptive feature extraction (information of structural state and damage) is performed by numerical algorithms and Machine Learning based on ultrasonic measurements of hybrid probes with impact damages. This talk focuses on the simulation of complex and large-scale agent-based systems. There is an ongoing activity to model and study social systems using agent based modeling (ABM) and simulation. Commonly ABM is performed in a sandbox with a very limited world model. Moreover, the boundary between human beings and machines is vanishing. For example, recently exposed, automatic chat bots gain influence on society opinions and decision making processes (in politics, elections, business). Commonly ABM is performed in a closed environment only using simulated artificial agents in an artificial simulation world. There is no interaction or data exchange with real worlds. Although pure digital, real worlds include the WWW, social platforms, and Clouds. The outcome of such limited scope and simplified systems is application specific. In a large-scale agent-based simulation embedded in and connected to real world environments (so called "human- or hardware-in-the-loop" simulation) agents can represent different behaviour, goals, and individuals like chat bots or artificial humans and their interaction with virtual and real individuals, e.g., via WEB interfaces or robots (software agents meet hardware agents). The tight coupling of simulation, technical systems (e.g., robots or WEB services), and human interaction can be established by using mobile agents and a highly portable agent processing platform that can be deployed in strong heterogeneous environments (including WEB browser and mobile devices like smart phones) and simulation simultaneously. This distributed multi-agent system is well suited to include and perform Crowd Sensing to extend the data base. Such a simulation system can be used to study a broad range of complex socio-technical systems and machine-human interactions on large-scale level. One prominent example is modeling of opinion and decision making under the influence of digital technologies. It can be expected that the simulation of large-scale agent societies with agent population beyond one Million individual agents delivers statistical strength and generality. Augmented reality is well known for extending the real world by adding computer-generated perceptual information and overlaid sensory information. In contrast, simulation worlds are commonly closed and rely on artificial sensory information generated by the simulator program or using data collected off-line. In this work, a new simulation paradigm is introduced, providing augmented virtuality by integrating crowd sensing and social data mining in simulation worlds by using mobile agents. The simulation world interacts with real world environments, humans, machines, and other virtual worlds in real-time. Mobile agents are closely related to bots that can interact with humans via chat blogs. Among the mining of physical sensors (temperature, motion, position, light, …), mobile agents can perform Crowd Sensing by participating in question–answer dialogs via a chat blog provided by a WEB App that can be used by the masses. Additionally, mobile agents can act as virtual sensors (offering data exchanged with other agents). Virtual sensors are sensor aggregators performing sensor fusion in a spatially region.